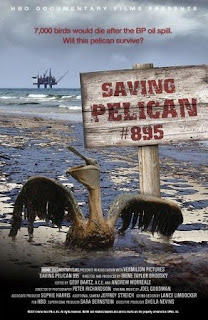 Thursday night was the West Coast premiere of Saving Pelican 895, the HBO documentary that Director Irene Taylor Brodsky filmed with us in Louisiana last summer during the Deepwater Horizon spill. Featured in the film, Mark Russell and I were invited to attend the premiere and participate in the Q&A session afterward. The premiere, which was in Irene’s hometown of Portland, Oregon, drew an unprecedented crowd of more than 600 guests to the auditorium of the Portland Art Museum. Earlier that day, 300 students participated in an advance screening. The film follows the story of the 895th oiled Pelican treated during the spill from its capture to its release. Viewers recognized that 895 stood as a symbol of the care that each bird received, and were struck – and deeply moved – by the level of attention given to a single animal. International Bird Rescue Research Center’s tagline is “every bird matters,” and the movie truly embodies this philosophy. Irene’s simple telling of this bird’s experience reminds us of the significance of the life of each and every animal that needs our care, and just how critical our work is – not just during a crisis – but every day. We just learned that Saving Pelican 895 won the Best Documentary award at the prestigious Vail Film Festival. We would like to congratulate Irene Brodsky and HBO for their win. The movie will have its East Coast premiere in New York on April 14, and will air on HBO beginning on April 20, the one-year anniversary of the Deepwater Horizon spill. 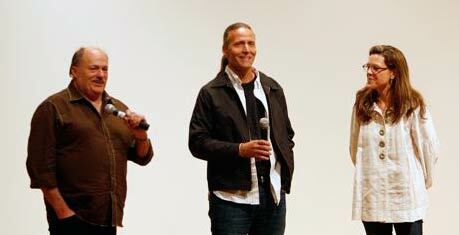 It is my sincere hope that you will take the time to watch the film, and that you find it as meaningful as we did. This entry was posted on Sunday, April 10th, 2011 at 8:19 am and is filed under News. You can follow any responses to this entry through the RSS 2.0 feed. You can skip to the end and leave a response. Pinging is currently not allowed. Beautiful, moving, hopeful and well produced. This film should be in every library to help humans understand the importance of caring for wildlife when humans make a mess of things!